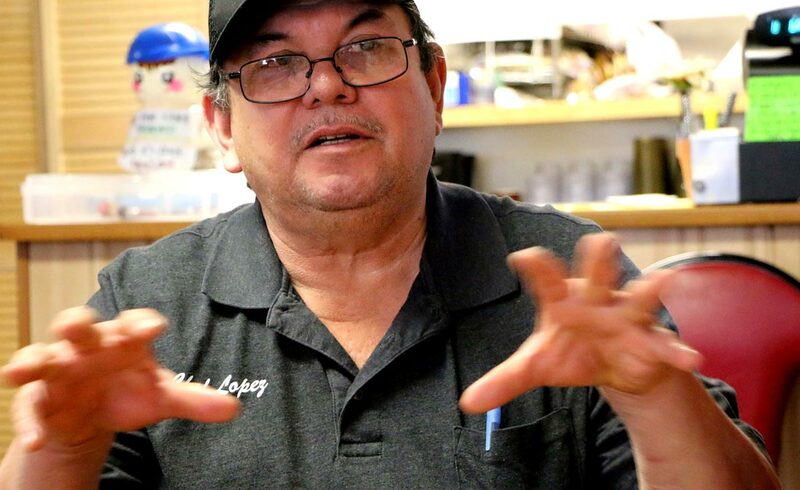 Martin Lopez had lost nearly everything. He didn’t give up. Now, he and his wife Mari Lou have a story to tell. The story of the Lopez Family is one of a years-long journey, sacrifice, hard work, near failure, and community support. Ultimately, it is a story about survival and success. And much of it took place in Goshen. 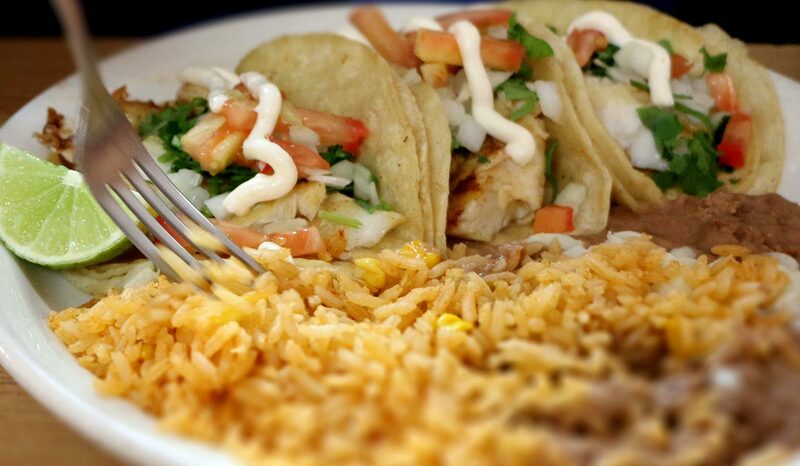 Martin Lopez is perhaps better known to his customers as Chef Lopez. 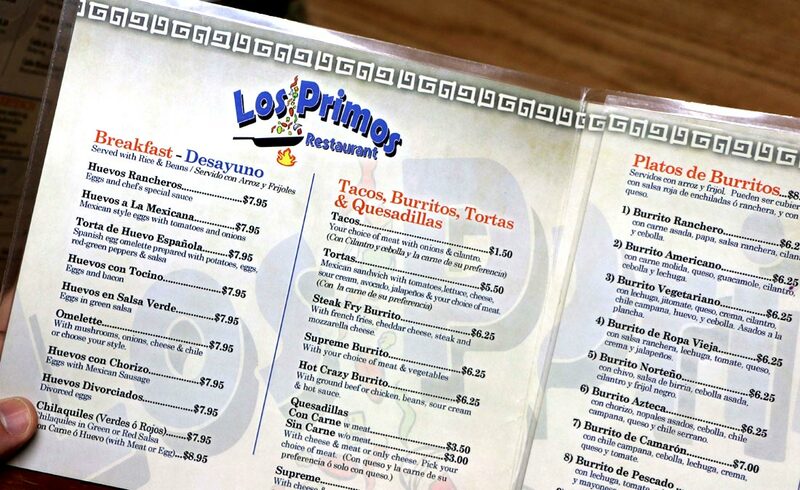 He and Mari Lou run the Mexican-style Los Primos Restaurant at 122 E. Clinton Street. It is hardly the first venture for Chef Lopez – Martin has been working as a chef for 43 years. Lopez studied to be a professional chef and instructor in Mexico, and worked in several restaurants there. He later spent 12 years working in California before moving on to jobs in Miami, Fla., and Georgia. “Because we moved around a lot, our kids were always asking, ‘Mommy, where are we going to go next?’” Mari Lou said. In 1998, the Lopez family moved to Goshen, where Mari Lou’s sister lived. Martin worked at Old Country Buffet for several years, then went to Chili’s Grill & Bar to train workers there. 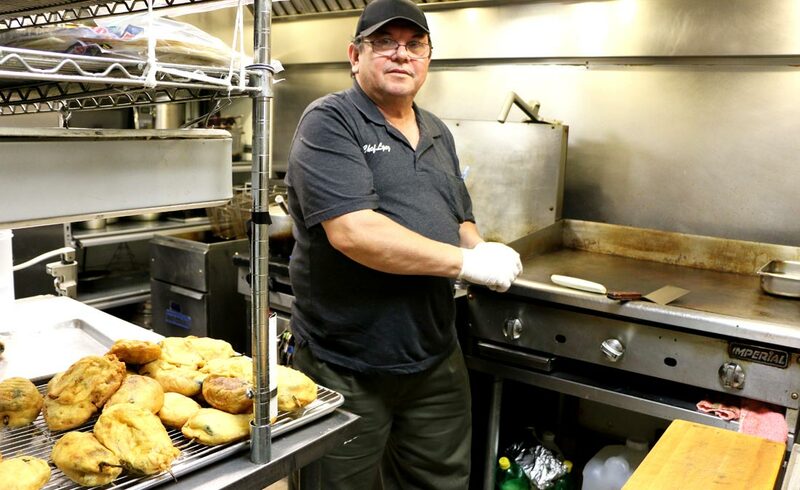 Martin and Mari Lou eventually started up the Los Primos Catering Truck, which grew in popularity as more and more local businesses wanted the food-service vehicle to make stops. 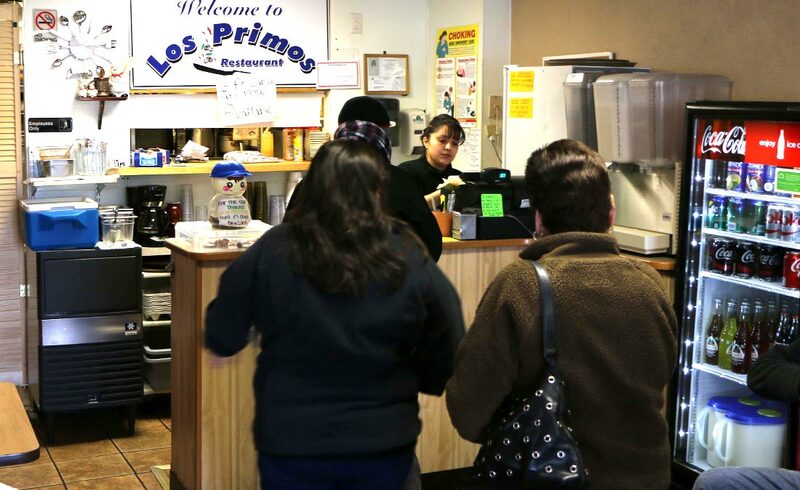 The success of the catering truck led to the opening of Los Primos Restaurant in March 2008.
Business was going well for the first three months after Los Primos opened, but then the recession hit. Martin and Mari Lou started not being able to pay their bills. There were days when the restaurant brought in as little as $8. Determined to keep going, the family sold all the property they still owned in Mexico to keep Los Primos going. 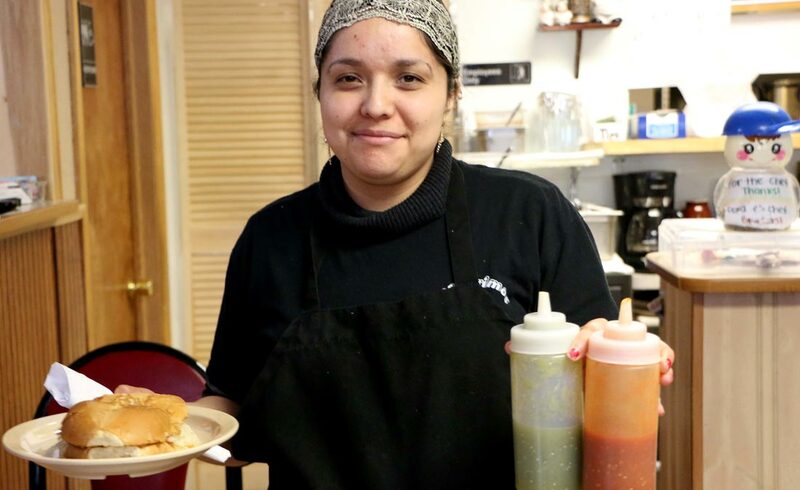 The couple adopted a mantra to help them continue: “Si se puede” or “Yes we can.” At the time, Chef Lopez was working 14 to 18 hours every day. “If we want to maintain our clients, we have to maintain a good business,” Mari Lou added. That’s exactly what they did, and over time Chef Lopez was able to pay off bills and debts and keep Los Primos afloat. 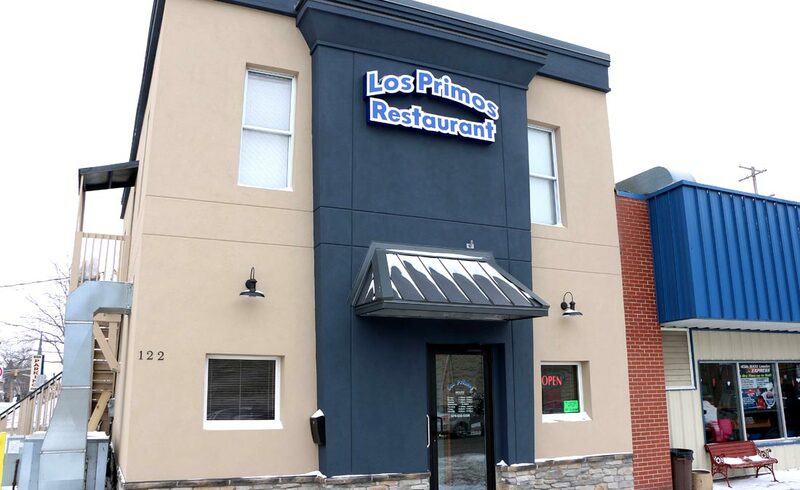 Now, years later, thanks to the support of the diners who enjoy Los Primos, enough money was earned to pay for a recent façade upgrade at the restaurant. 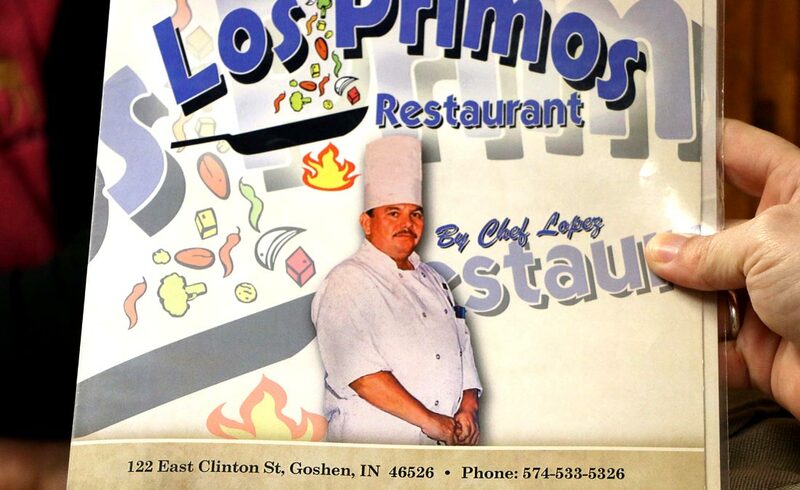 Martin and Mari Lou are even thinking of moving Los Primos to a larger space – and they only want to make that move to another place in Goshen. After a period of struggle, Martin and Mari Lou are thankful for the customers who have been key to the success of Los Primos. 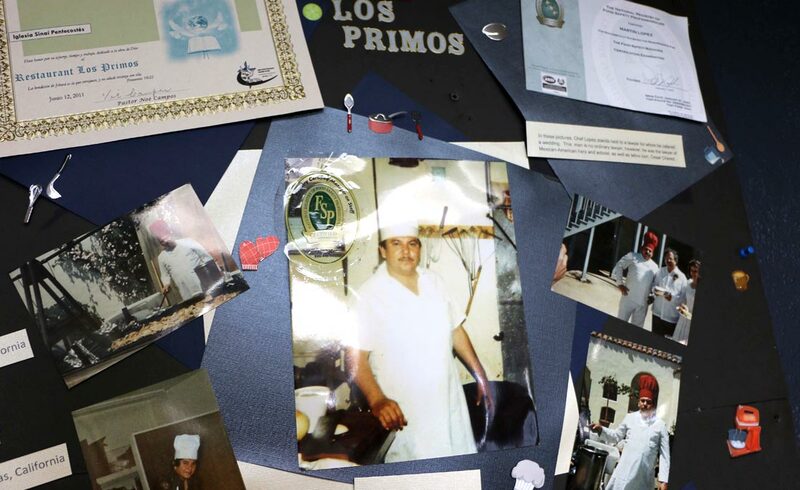 Martin Lopez has served many customers in his 43 years as a chef. The names of two of them stand out. Mary Lou Lopez proudly says her husband can prepare more than Mexican-style food. His talents also include being able to prepare Chinese-, Italian- and French-style meals. It’s like Martin has a “computer in his head,” Mari Lou said. Martin and Mari Lou have a 26-year-old married daughter and a 22-year-old son who is studying to be a surgical assistant. Both went to Chamberlain Elementary School and graduated from Goshen High School. Mari Lou has high praise for Goshen Community Schools, and for the impact local educators had on her children. School staffers make it a point to work individually with each student, she said, adding that her two children learned to speak English very well here in Goshen. Editor’s note: Martin and Mari Lou conveyed their comments through an interpreter for this article.